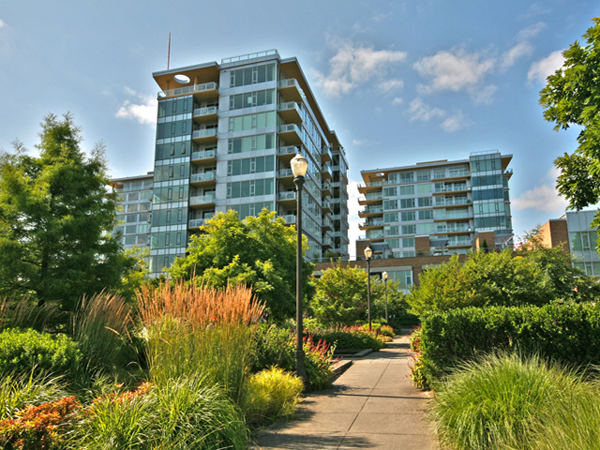 The Strand is located near the Riverplace Marina in Downtown Portland. It features three towers containing approx 230 condominiums and 27 town homes. The location is fabulous. Amenities include concierge service, secured parking, and terraces. Many units have wonderful river and city views. There are 11 listings found for The Strand. Stunning 10th floor unit in North tower with expansive windows that capture sophisticated views of the City skyline and Willamette river. Desirable Strand condo. Quiet with a secured entrance serviced by concierge. Light filled open floor plan. Hardwoods. Granite. Custom window coverings. High quality finishes. Master bedroom w/2 walk-in closets. Gas frplc. Separate utility room. Balcony. Deeded secured parking and storage.